Dynamic Keynote Speaker. Transformational Result. Learn more about this program and how it can transform your life. 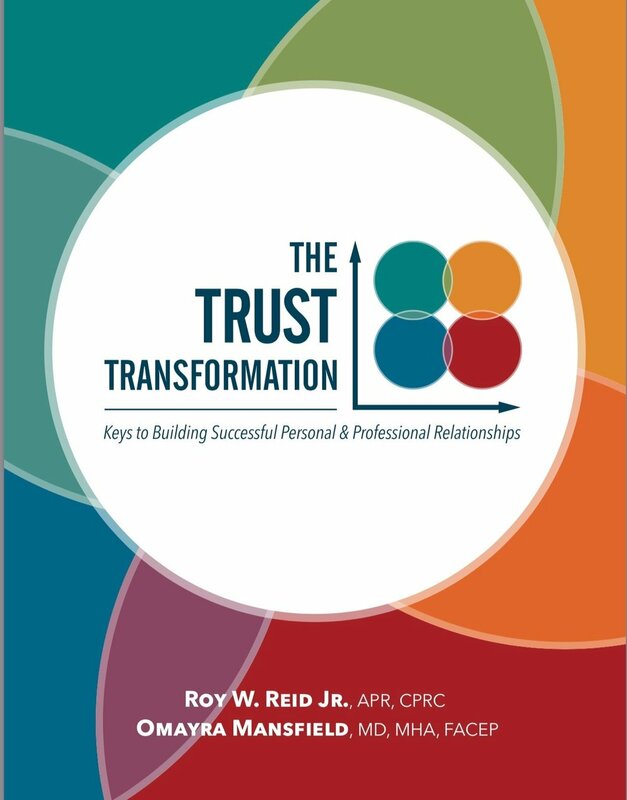 Roy W. Reid, APR, CPRC is recognized as one of the Top 100 Thought Leaders in Trustworthy Business and will provide your organization, meeting, or event with meaningful engagement, value, and results. "In an ever-changing world, trust is so vital it could be considered a form of currency. While you may not be able to trade it on the open market, it clearly has value. Too often we assume trust exits, or that people will implicitly trust us, when, in fact, trust must be cultivated, earned, repaired, and restored when needed." Roy Reid is a strategist, counselor and advisor and has worked worked with numerous leaders and leading brands to grow, maintain and protect their interests. Roy Reid is a sought after speaker and leading authority on improving results in your life by improving your relationships, with an emphasis on trust. His programs will challenge you to become more intentional on earning and stewarding trust. In addition, his engaging and provocative style will provide you with encouragement and inspiration to make and implement changes in your life for the better. Reaching your highest potential requires a commitment to training -- continuing education, mentorship, coaching, and counsel. "Trusted Advisor" is the best description of how Roy works with leaders -- whether an audience of thousands, or one-on-one, he can get to the heart of the matter and help you navigate to the right outcomes. In addition, as practitioner and teacher of martial arts, he brings a unique perspective of mind, body, and spirit. The Trust Transformation, co-authored by Omayra Mansfield, MD, MHA, FACEP, is a framework for culture and leadership development.